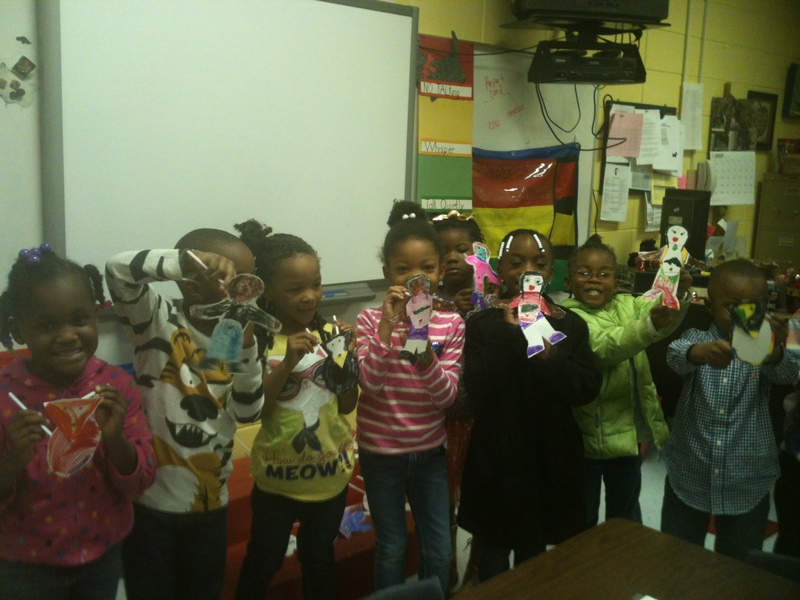 Kindergarten students show shadow puppets that they made in a workshop. Piccadilly Puppets has many educational shows and workshops! Bring us to your school this year! We have discounted prices for Title One schools.